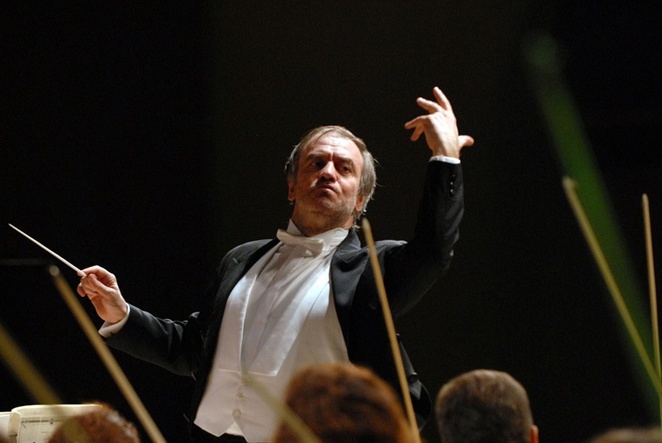 It's a rare opportunity when opera fans get the chance to see the renowned Russian Mariinsky Opera, one of the best for the musical genre in the world. 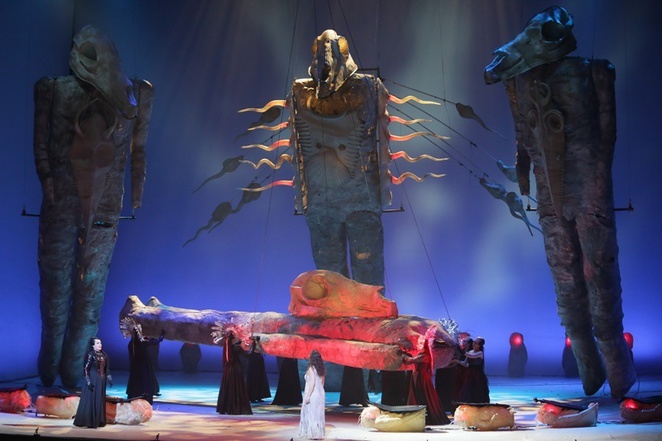 So, the Mariinsky's visit to Birmingham Hippodrome to perform Wagner's Ring Cycle between Wednesday November 5 and Sunday November 9 is very special indeed. I saw Die Walkure (also known as The Valkyrie), the second installment of The Ring series. The opera is a mythological Norse fantasy that gives Game of Thrones a run for its money and features one of the finest fierce female characters ever created in the form of Brunnhilde. The voices and accompanying live orchestral music, conducted by Maestro Valery Gergiev, are exquisite and performed to an impeccable level, but that is hardly surprising for a conductor and Mariinsky artistic director who has been named a UNESCO Artist of the World. We start off seeing long lost twins Siegmund and Sieglinde find each other as adults, but have a passionate attraction that sparks an incestuous relationship. They are the illegitimate children of power-hungry god Wotan, who is forced by his goddess wife Fricka to issue a punishment of death on Siegmund for their shameful actions. Wotan, menacing in long black robes and an eye patch, orders his favourite daughter Brunnhilde to make Siegmund die in an impending battle. For Brunnhilde is one of the Valkyries, women whose job it is to decide which heroic soldiers die on the battlefield and then take them to Wotan's Valhalla residence in order to swell the ranks of his protectors. Knowing that Wotan has been unhappily forced into this decision by Fricka and realising that Sieglinde is already carrying Siegmund's baby, Brunnhilde disobeys her father's orders, which leads to dire consequences for our heroine. The set at first seems relatively bare with a few enormous, modern pieces on stage. There's even unusual looking prehistoric figures that are part of the trees around the forest house where the twins meet, while simple large rocks depict the home of the gods. However, it's the imaginative and impressive use of lighting on these features that ends up creating a vivid and memorable canvas for our players. Like the moment when Brunnhilde, all gothic in black leather, black hair and a glorious Boadicea-like fanned headdress, stands aloft a huge rock to warn Siegmund of his fate as the rock turns a glowing red, it could almost be molten lava. 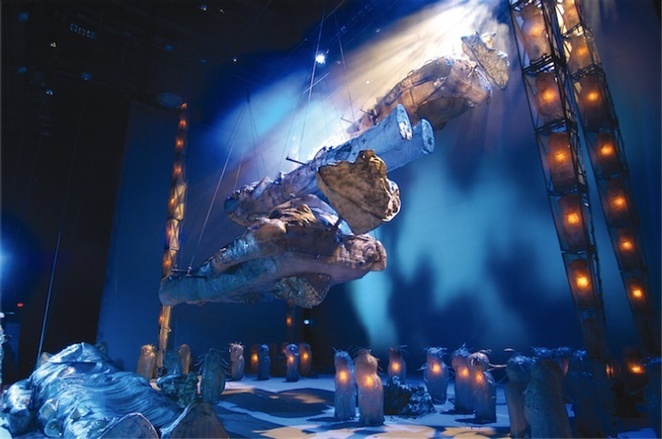 When it comes to sentimentality, the set becomes awash with pale blues and greens, especially for the emotional scenes between the twin lovers or Brunnhilde and her father that is akin with their relationships. Flourescent and strobe lighting both feature heavily - there's even rams with large glowing heads for a touch of the avant garde and women with glowing red headpieces to signify flames around Brunnhilde in the finale. It's a very modern take that does work well (apart from the strange large glowing features that look like twirling huge sperm in the final scene). But the real draw is the world-famous music. Wagner's powerful and instantly recognisable Ride of the Valkyries is the best known piece in this opera and is quite the theme tune for Brunnhilde, but the whole five and a half hour event (with two long intervals) is an intense experience. There's an intensity of emotions, especially between Brunnhilde and her father, that the music sweeps you along with. Soprano Olga Savova is an excellent Brunnhilde and matched equally by Vitaly Kovalyov as her father Wotan. It's a world class production with a polished cast, conductor and orchestra that all reach enviably high standards. If you love opera, it's unmissable. If you like powerful theatre, it's still a must-see. Visit Birmingham Hippodrome website for tickets, which cost £75 - £200.